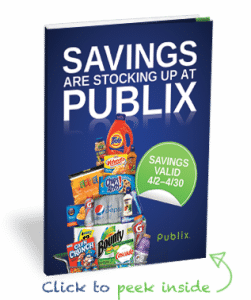 Click here to visit the Publix site and wait for it to show the screen with a picture like the one above. When it does, click “Signup For The Booklet.” Enter your email and then you’ll be able to request a free booklet. Why is this not avaible for all states? That is really appreciated. People are really trying to support local groceries, and our dollars don’t take us too far. Not available in my State either.